If I had to pick a favourite precut, it would be 10-inch squares! 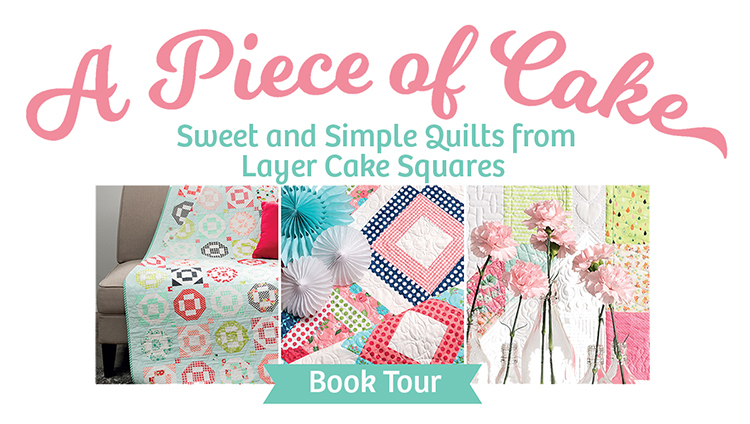 So, it’s no surprise that a book titled ‘A Piece of Cake – Sweet and Simple Quilts from Layer Cake Squares’ piqued my immediate interest! 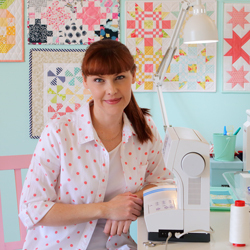 ‘A Piece of Cake’, published by Martingale showcases the talents of Australian quilt designer Peta Peace a.k.a. She Quilts A Lot. Together, Peta and the team at Martingale have created a beautiful book with great designs, gorgeous photos and easy to navigate instructions. ‘A Piece of Cake’ – The Pattern! Choosing a project to make and share was difficult – there are a number of fun projects in this book that caught my eye. In the end I decided to let my fabric choice dictate the right pattern. 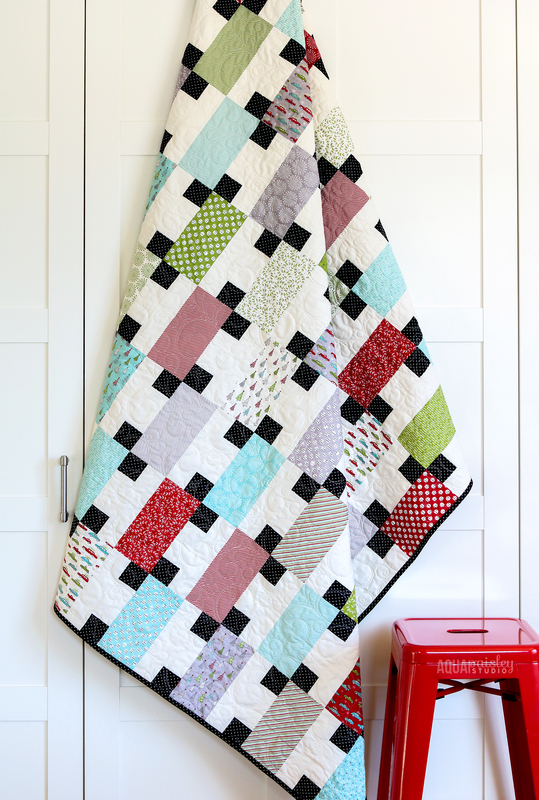 Initially, I had set aside a layer cake of Holly’s Tree Farm by Sweetwater to make a different project, but as I began to thumb through my layer cake collection, it jumped out at me! It was probably in part because it was June, and I had good intentions to try and carve out a little time for some ‘Christmas in July’ sewing. Unfortunately, all the plans I had for my seasonal sewing had to take a back seat to ‘life’ and other commitments, which is why I knew this simple pattern, also called ‘A Piece of Cake’ would be the perfect way to showcase this fun Christmas fabric and make the most of the limited time I had available to sew. There are so many great reasons to choose layer cake squares for a project! 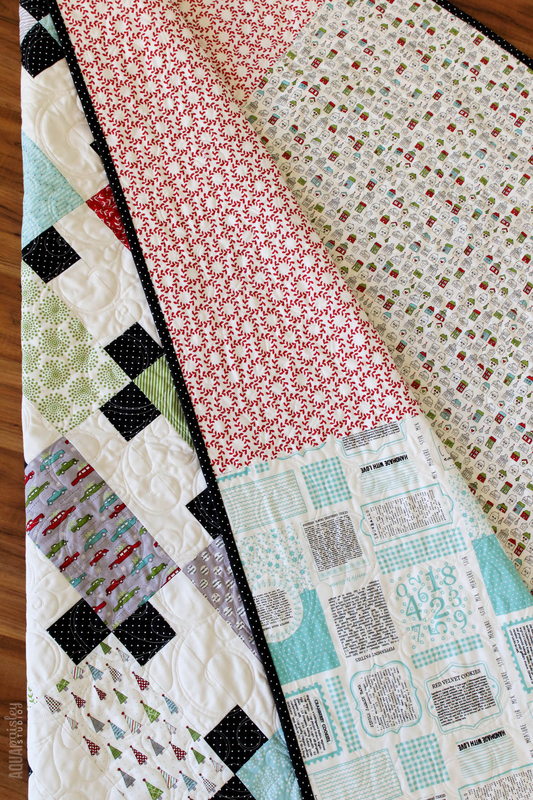 Mostly, I love that they give you the opportunity to create a scrappy feel to your quilt while still ensuring endless design possibilities thanks to the size of the pieces. Since the hard part of choosing fabric is done for you, you can focus on choosing a pattern perfect for your needs. With this book on hand, you can choose patterns based on your skill level and the time you have available, and you can create something beautiful. 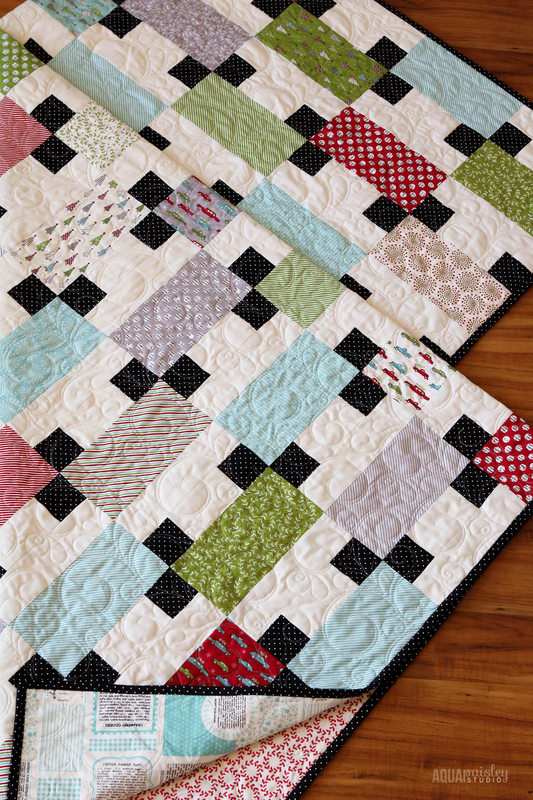 Choosing backing for this quilt was so much fun! Since Holly’s Tree Farm is an older collection I wasn’t able to find a backing from the range. Luckily, Sweetwater had just released their Hometown Christmas collection, and their previous Christmas collection, The Cookie Exchange, was also available. All of which work beautifully together! Since I couldn’t make up my mind between a few different fabric prints, I decided to choose three! 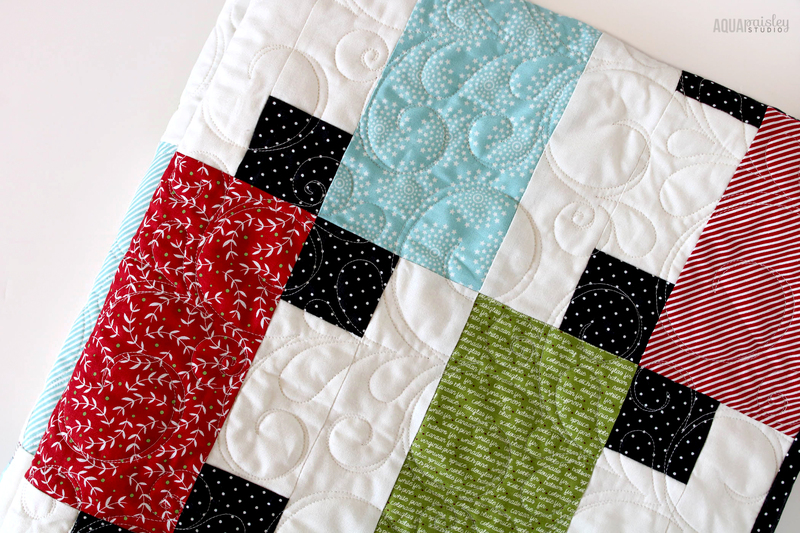 Piecing together the prints created a fun and lighthearted backing; perfect for this Christmas quilt. 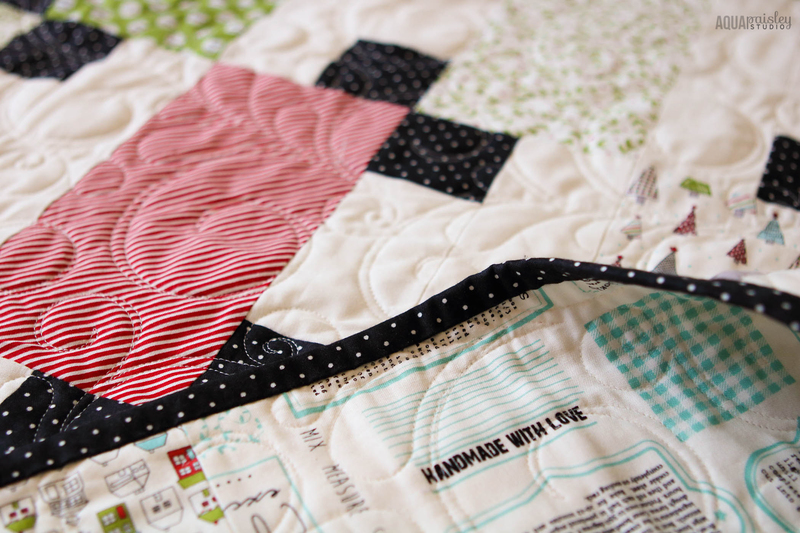 Using the Moda Essential Dots in black throughout the quilt created a striking contrast to all the Sweetwater collections. And the binding creates the perfect frame for the quilt. 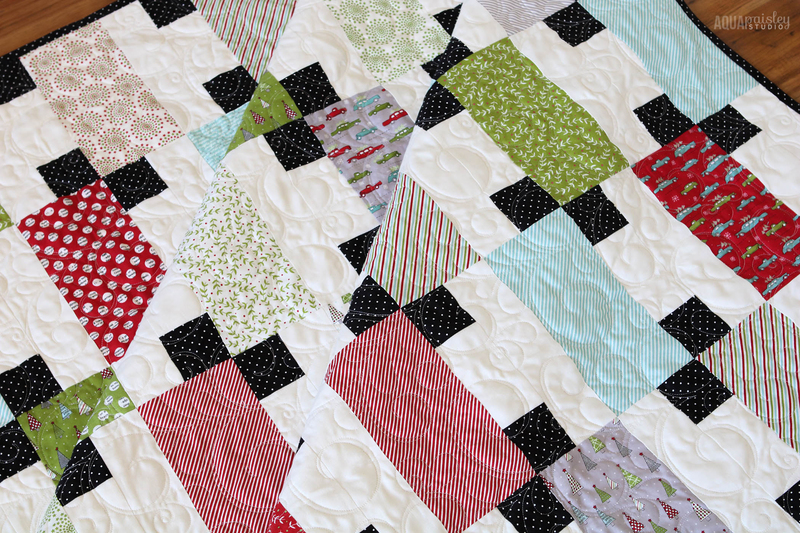 When deciding on how to quilt the top, I wanted to achieve something reminiscent of Christmas. I love how this gentle flourish gives a nod to mistletoe without being an overtly Christmas pattern. 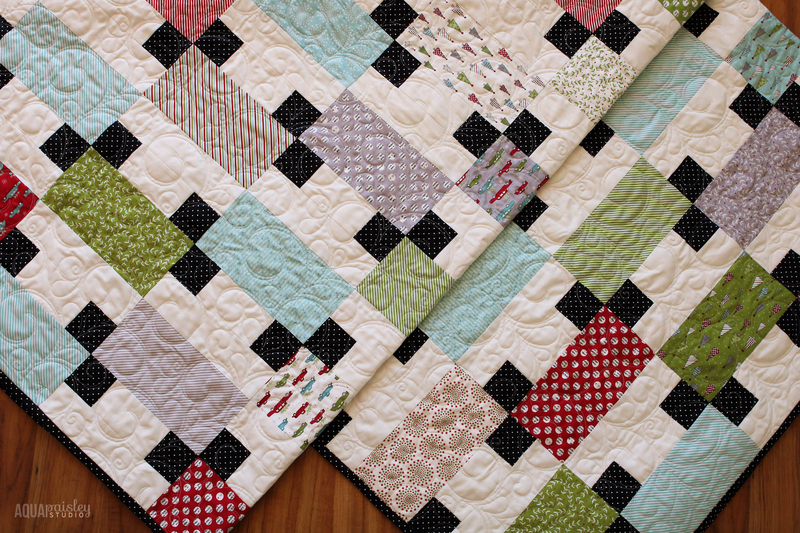 I am officially in love with this finished quilt, and can’t wait to use it this holiday season :)! You can already see the gorgeous creations made by Sedef and Jemima now, and there will be more amazing quilts on show until the 10th of September. Pattern: A Piece of Cake from the book A Piece of Cake by Peta Peace. Backing Fabric: Hometown Christmas Edition Vanilla Winter Park, Hometown Christmas Edition Red on Vanilla Evergreen, The Cookie Exchange Splash Mix, Measure, Stir – all by Sweetwater for Moda. Batting: Quilter’s Dream Request 100% Cotton. I hope you enjoyed this stop on the book tour. PS. Since my ‘Christmas in July’ sewing never became a reality, I was thinking ‘Christmas in September’ might have to become a ‘thing’. What do you think ;). ? SUCH A NEAT QUILT! LOVE PETA’S BOOK! THANKS TO YOU FOR SHARING!